How to Prepare Yourself While Shifting Base From Bangalore To Hyderabad. Shifting from one city to another can uncork a bottle of mixed emotions. On one hand, you feel excited about the new possibilities awaiting in the new city and on the other hand you experience sharp pangs of nostalgia about having to leave the city which had given you so much to remember about. The first thing which you are bound to miss about Bangalore is its beautiful weather as it gets extremely hot in Hyderabad between April to mid-June. The organized pubs and plethora of hangout spots in Bangalore also gets substantially reduced once you reach Hyderabad which is much less cosmopolitan than Bangalore. The people in Hyderabad are very warm and friendly. 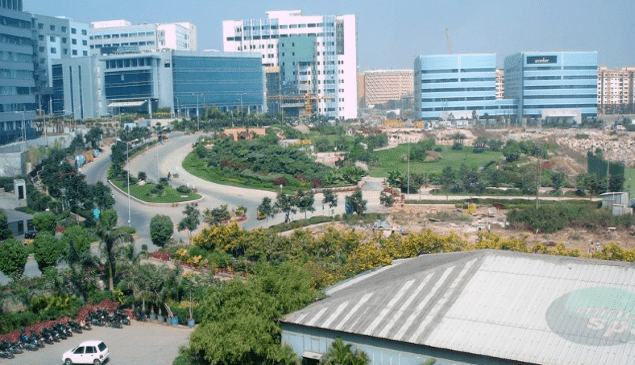 This city has earned itself the nickname of “Cyberabad” as it has established itself as a hub of pharma, IT and biotech industries. Coupled with 13 universities and business schools, Hyderabad has also evolved into a major center for tutoring the young buds of our society. Hyderabad is located at a distance of approximately 570 km from Bangalore requiring just 9 hours of travel time while going by road. 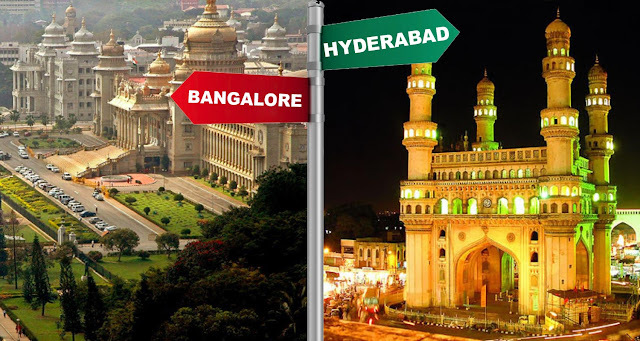 But shifting base from Bangalore would require you to step out of your comfort zone and deal with the hassles of moving all of your belongings along the way. You are also required to get familiar with the new surroundings so that your daily living becomes a cakewalk. Amidst all these fiasco, chances are high that you might miss out on various important aspects like confirming your new landlord about the date of your arrival. This is where we come in to ensure a seamless Shifting from Bangalore to Hyderabad by taking care of every single aspect of your life which you wish to retain in the new surroundings. When it comes to standard of living, Hyderabad will ensure that you have a fuller wallet at the end of the day in comparison to your stay at Bangalore, the IT hub of India. You also don’t need to pay an advance rent of 10 months in Hyderabad where it is possible to continue with your normal livelihood without having to learn the local language. You can definitely make yourself heard if you have a good command over Hindi which is extensively spoken in Hyderabad. Movie tickets are also cheaper in Hyderabad so that you can keep your entertainment meter satiated with the latest blockbusters. Hyderabad is renowned worldwide for its lip-smacking cuisines. Thus, you can rest assured of a happy belly during your stay over here. If you are an IT professional, then Gachibowli or Lanco Hills can serve as your ideal dwelling spot. These friendly neighborhoods also have recognized schools such as Nasr and DPS located nearby. You can thus carry out with your daily activities without having to worry much about dropping off your kids to school. It also does not require much time to commute to Hitech city from these neighborhoods which are located at a distance of just 3-4 km. However, you need to embark on your day trips with some buffer time in hand as the traffic in Hyderabad might get pretty deadly during rush hour. Whether you are a bachelor graduate seeking out new job offers or a settled man moving with his entire family, safety becomes one of the biggest points of concern which shifting from one city to another. Thus, you need the help of someone who you can entrust with the safe movement of your prized belongings. Our trained and experienced professionals of Cloud Movers can serve as your ideal pick during this shifting drill as they pack everything efficiently so that it does not get damaged during transit. If you have any further queries, then you can either call up our customer care representatives or visit our website. You can be guaranteed of an instantaneous response from our end so that your stay in Hyderabad becomes a happy and blissful one.